I am passionate about good reading material. I’m mostly interested in topics related to lives and families being changed by the Gospel of Jesus. 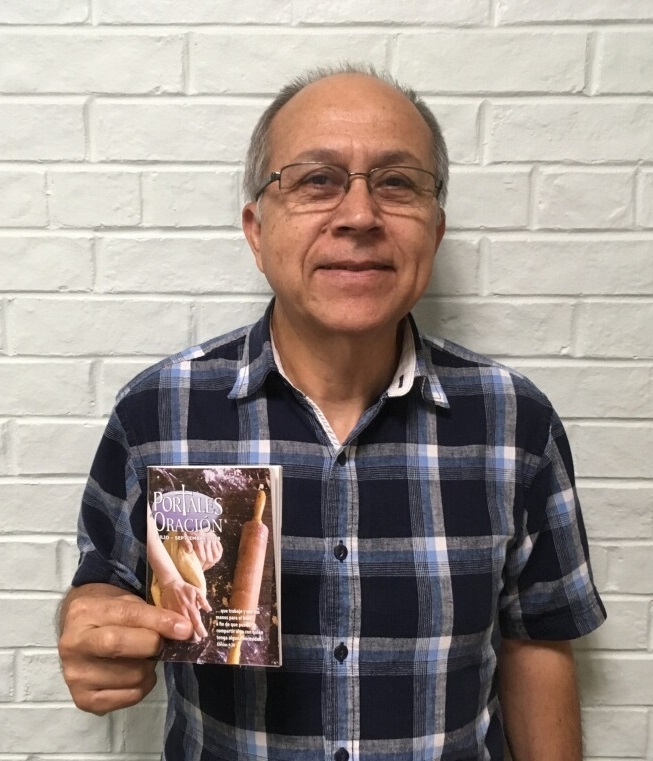 Since I first read Portals of Prayer, I was really interested in not only reading them but promoting them to the Hispanic community in which God has called me to serve at this time, Holy Cross and Bethel Lutheran Churches in Dallas. I have heard quite a few stories of people who have been helped by reading these small passages of Scripture and the commentaries that the writers include. When the director of Portals of Prayer wrote to me and asked if I was interested in writing for the publication in Spanish, I felt both very honored and excited to do so. However, when I received all their requirements in order to publish what I would write, I was actually a little hesitant to accept the invitation. I’m not someone who says a lot with a few words, and the requirement was to be short and to the point. To do it would require many hours of preparation. However, I was in prayer one day and told God that I wanted to do it, but that I just didn’t know how. I told him I needed his help 100%, not only to write it in the time they needed, but that the director would like it and decide to publish what I had written. I ended up taking the challenge, and over many days it blessed me more than I imagined. God gave me the stories and the words to say, and when I sent them, the director told me that he really liked what I was writing. He did a little editing, and then I was finally finished with what I was supposed to write. The director recently told me that he wanted me to keep writing for the publication for next year. With joy I am accepting the offer and am prepared to make sacrifices in order that this Message reach many people around the world. For with God nothing is impossible for us that we do in the name of the Lord. I ask for your prayer for these publications to bear fruit and that thousands of people would be blessed by them. To God be the glory, forever and ever, amen! I am always trying to read about hethel portals of prayer. In all churches they were doing about these http://topratedessayservice.com/ website development programs. So, I am lucky to receive the great instructions and essay poss. Thank you, Pastor Alzate for taking this challenge. I am so hopeful that Portals of Prayer will be an inspiration to others. It is a wonderful help to me.